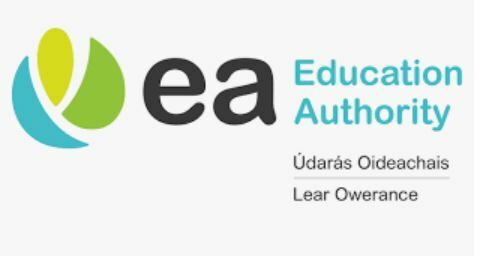 The Education Authority has defended dropping an Irish language translation from its logo. The public body, which administers the education system in Northern Ireland, was created in 2015, replacing the five former Education and Library Boards following the Review of Public Administration. It previously used branding which included Irish and Ulster Scots translations. But the Education Authority (EA) now uses a logo which does not include any additional translations. The EA said when it was established in April 2015, logos with both mono-lingual and tri-lingual options were drafted “in line with Northern Ireland Executive guidelines”. But in 2016, its then chief executive Gavin Boyd took the decision to use the mono-lingual option “in line with the Department of Education practice at the time”. Democratic Unionist MLA Peter Weir was education minister in 2016, replacing Sinn Fein’s John O’Dowd who served in the post from 2011 to 2016, and had been an advocate of the Irish language. There has not been a minister heading the department since January 2017 when powersharing government in Stormont collapsed due to a breakdown in relations between the Democratic Unionist Party and Sinn Fein. Numerous attempts at political talks to resurrect the Northern Ireland Assembly have been unsuccessful, with the Irish language among the sticking points between the two leading parties. Sinn Fein MLA Karen Mullan has called for the logo decision to be reversed. “The education system must be inclusive and for everyone in our society, including those who wish to be educated through the medium of Irish,” she said.